Enjoy the amazing features available in the SE trim including the astonishing Front Wheel Drive (FWD), 6-speed automatic transmission with SHIFTRONIC®, and 5-passenger seating arrangements! It's easy to enjoy the drive with these features. The SEL trim level offers drivers efficiency that they didn't realize they had, including the 4-wheel disc brakes with Anti-lock Braking System (ABS), 17-inch alloy wheels, and Child safety locks ( in the rear only). When you're ready to operate a kid-friendly vehicle with advanced interiors, choose the new SEL. The Ultimate lives up to its name with an 8-way power driver seat, 60/40 split fold-down and reclining rear seatback with an adjustable head restraint, and Android Auto™ & Apple CarPlay™ connective feature. You can go anywhere and be anywhere at the same time with Kona's grandest trim level. The updated Kona offers drivers plenty of advanced innovations, including the Rear View monitor with parking guidance, Leather-wrapped steering wheel, and shift knob, and a 4.2-inch color Multi-Information Display in the Ultimate trim. 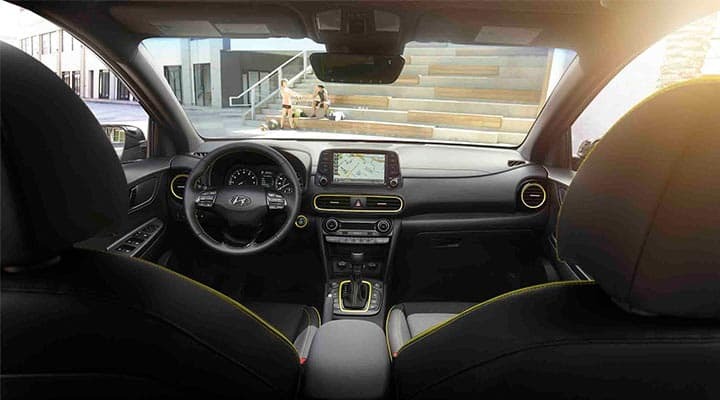 This new Kia vehicle is all about versatility. When you want to take a road trip and desire a big cabin that can fit up to five people, all you have to do is hop into your Kona SE and go. The Kona comes clad with tons of advanced efficiencies that drivers can enjoy, including Apple CarPlay and Andoird Auto. You can send hands-free text messages while you're commuting to the next location. In the new Kona, you're always connected to the outside world. It's easy to get lost in the wilderness – good thing you have a Kona with connected navigation features to guide your way. The Kona represents everything consumers love about engineered auto-enhancements. Drivers will find the best road companion in the new Kona! The update Kona is all about patience and versatility. When you're ready for a new Hyundai model that has advanced technology and a capable body, contact our professional for a test drive in Tracy, CA. We offer competitive financing options for new and used Kia vehicles, so talk with our finance team about your buying and leasing options! 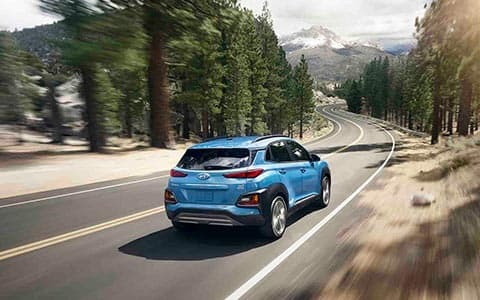 It's time to see the world with the user-friendly cabin of the new Hyundai Kona with its vast and Remote keyless entry system with alarm and panic features. With active safety systems with the available Blind-Spot Collision Warning, you'll be gliding on the highway with ease. You can even relax in the comforts of optional 60/40 split fold-down and reclining rear seatback with adjustable head restraint if it suits your riding needs. Finance a new Kona with our fantastic team and enjoy the superior efficiencies it offers! You deserve a vehicle that's ready to do more for than just sit in your driveway. 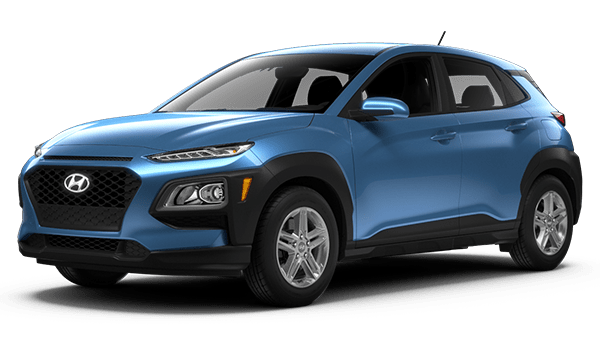 With a premium exterior door trim with LED Daytime Running Lights and optional front foglights, you will feel right at home in the all-new 2019 Hyundai Kona! Advanced exterior features like the available heated side mirrors make, and driver's blind spot mirror make the Kona the perfect road companion. Explore the world in the morning, no matter how brisk. 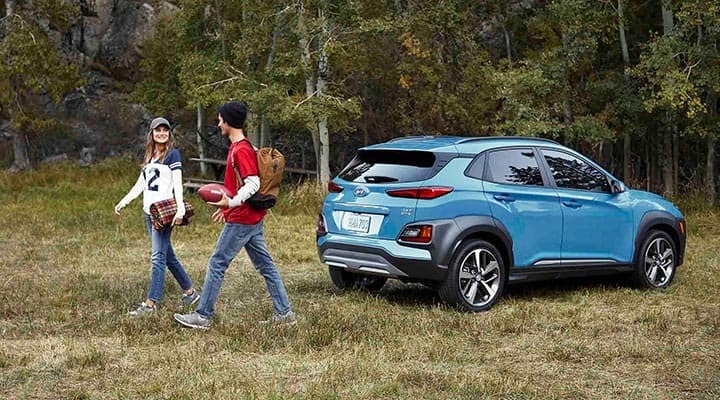 There's no time like the present, so be sure to visit our dealership and explore the new Kona for yourself. You will find that the Kona offers a body that is sleek enough to glide on the highway but strong enough to defend your loved ones in an accident – what more could you need?